Photographs will shine with the right elements in them. 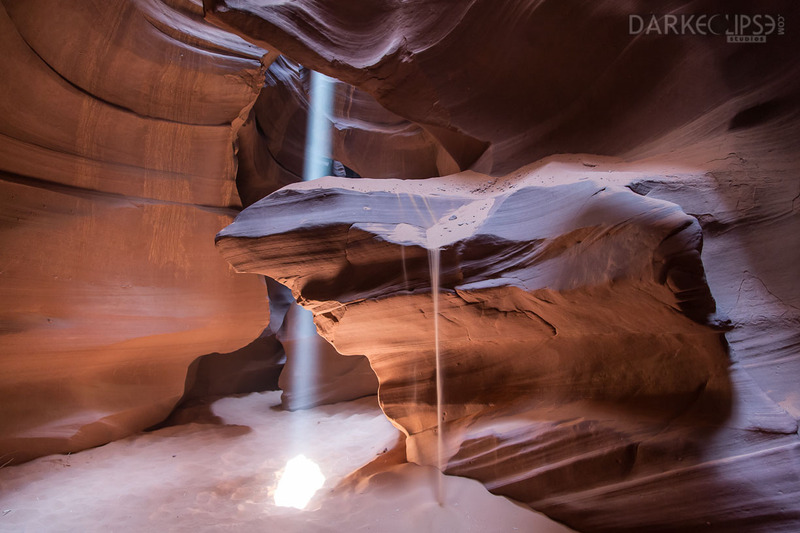 This photo from the Antelope Canyon resembles what a fine art photo should be. With all the interesting patterns and symmetry in this view, it is definitely a work of art. Antelope Canyon seems to be Mother Nature’s abstract work of art. The Antelope Canyon has this unique and mystical appeal by which a lot of photographers from various parts of the world would want to take a picture of. The lines seem to flow along the slot canyons which made this snapshot absolutely visually appealing. By merely looking at this picture, it conveys harmony and rhythm. However, the ray of light entering the canyon interestingly broke the continuity of the flow of the lines which made the composition of this photo to be more interesting. The patterns created by the surface of the slot canyons gave emphasis to the mystical character of Antelope Canyon. Our eyes are drawn into seeing the lines in photos. As the sands seem to drift vertically, it has created a dramatic focal point for this fine art photograph. The horizontal movement of the lines is perfect for a landscape shot. The orientation of this fine art photo is just perfect. A landscape picture can definitely capture the beauty of the Slot Canyons without interrupting the smoothness of the lines. Devote some investments for a fine art copy of this photograph. It will be a perfect design piece and excellent work of art.